1. National unity and international peace and amity. 2. Communal and social harmony and brotherhood. 3. Removal of untouchability and such other social disabilities. 4. Prohibition of alcopolic and other narcotic drugs. 5. Khadi and other Village and Cottage industries and handicrafts. 8. Education in Health , hygiene and sanitation, specially i the rural areas. 9. Promotion of National Language-Hindi and all other languages of India. 10. Progress of women and children and welfare of students. 11. Social and economic equality. 12. Promotion and progress of agriculture and animal husbandry. 13. Promotion of the all-sided welfare of the kisans, labouring classes, Adivasis and others in the same or similar category. Establishment and/or maintenance of work centres either registered under the Societies Registration Act 1860 (Act No. XXI of 1860) or otherwise and giving grants to organisations , Ashrams and/or institutions of any kind for or connected with any of the aforesaid activities, and approved by the Society. Encouragement or provision of sanitary facilities and promotion of preventive and other easures for the health of people specially in rural or povery stricken areas. Rendering help for the eradictio, prevention and cure of leprosy to the Gandhi Memorial Leprosy Foundation, Wardha and other similar Institutions and Research Centres as and when deemed necessary and possible. Promotion ad encouragement of Nai Talim or Basic Education, Training of children and adults for citizenship and of women especially in domestic science and Training in handicrafts, cottage industries and other useful crafts and arts especially in the rural areas. Collection, Preservation, Publication and Propagation particulary in the language current in the State. of Mahatma Gandhi's writings and teachings and establishment of study centres and libraries for such purposes. To maintain Museums for preservation and exhibition of photographs, potraits, paintings, records, films, various relics of veneration, books, articles and other things connected with Mahatma Gandhi and his way of and outlook on life. 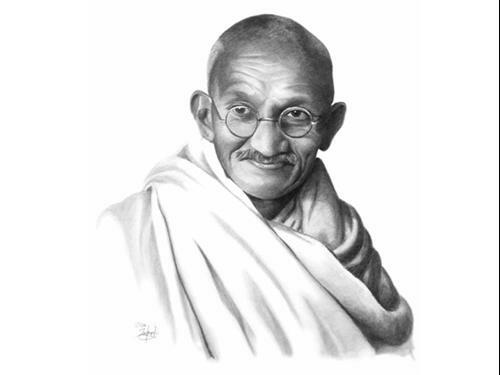 Preservation and protection of various places associated with Mahatma Gandhi's work and life in the State. Provide for the training of students and of men and women for carrying out one or more of the aforesaid activities. Rendering help of any existing institution or institutions to be established here after, and in special circumstances to any individual or individual person carrying on or, undertaking to carry on the State, more especially in the rural area, work falling within all or any of the objects mentioned in the above sub-clauses i to x.